Kooki Jur ChangLei: Kooki joined the TLC staff in 1990. Her leadership to the additional office staff has proved invaluable. 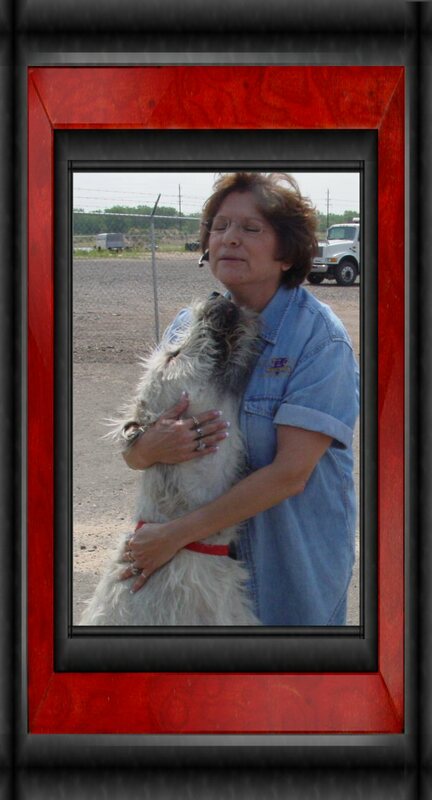 She continually demonstrates to the other staff members the need to provide the owners with care and love. Partially blind, and deaf, Kooki has a special place in the office by managing the ADA compliance of the TLC family. Kooki tests out her loyalty training on the owner, James, consulting continually in how to improve the canine resource management techniques of the staff. She is an extremely loyal staff member and works diligently at her position, which mainly involves testing the proper siesta schedule for the rest of the office staff. 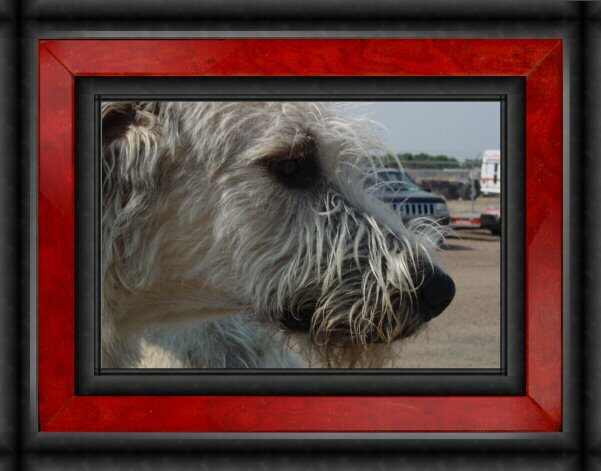 Zoee is one of our Irish Wolfhounds, she is astute as our grounds keeper, removing all rocks, asphalt and anything else that appears out of place on the grounds. Has a tendency to eat all she locates as non-essential. Zoee is a fantastic human resource manager, greeting all and welcoming vast amounts of hugs and snuggles from customers and employees. Zoee carefully oversees the staff eater, only selecting the best in food services for the office staff. She is also very much a part of our human resource initiative providing James with comfort and cuddles when needed, or not. She is not quick to provide others with this service, as she feels it is most imperative that the owners first receive this resource of canine touch. 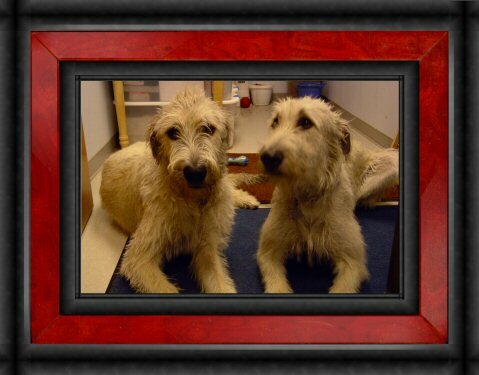 Bayli and Samson are siblings that turned one in 2007. They enjoy being at work and love to see the people that stop by the HR department. They are from Texas, where they "grow them big"! Samson is 160 lbs. and Bayli is 130 lbs. These two both are very loving and enjoy going for rides (that air in your face has a special meaning when you are their size!) and are in the process of training the rest of the office staff to their own Texan brand of Human Resource Management. Training human personnel in the office how to recognize Texan canine drawls and verbiage for breaks and food service. Guarding the office supplies: Sometimes the office personnel use too much paper! Bayli and Samson are very tuned into guarding the cost effectiveness of these supplies for T.L.C. Sasha was adopted a few years back to save her life. She has continued to return her gratitude to TLC and it's staff many times over. Her loving, calm nature sets a great precedence for all who enter the office oval.